Booby and the Beast: How Could You Forgive Your Body for That? I'm not always the nicest person. Ask Chris. Ask my mom. Isn't that always the case with the ones who know us best? They see the worst of us, and -- how lucky are we -- they love us anyway. When Quinn and my mom, who's living with us while she gets her things unpacked and gets settled in her new apartment, are both talking to me at the same time, for example, as if the other isn't in the room, instead of handling it the way my more mellow-mannered younger brother probably would with a, "Hey, hey, one at a time guys!" and a smile, I'm quick to snap: "WHAT! What do you even want!" at whichever one of them is closer, usually my mom. With Quinn, I retract a bit, explain how we use our polite words when we want to interrupt when another person is talking. (Luckily, he's not old enough to throw it back at me that maybe I should try my polite words, too?) With my mom, I ask if I can please have some of the wine she's pouring. Maybe it'll help? To be fair to myself, Chris also left town for a month last week, so I've been a little on edge while I shift the burden and get used to running the household on my own instead of sharing the duties like we usually do. Remembering trash night, cooking dinner and doing the dishes, doing a dry run of our taxes so we have an idea of what's left to spend on landscaping this year, and planning Quinn's birthday party is taking its toll, people. I had a call last week with a woman who's writing a piece on me, who -- bless her -- sat down and read through my entire blog, all three-and-a-half years of it, over the previous week. She asked me a couple of straight-shooting, hard-hitting questions, including how I managed to love myself through cancer, which is, after all, a disease of one's own mutated cells. How did you forgive your body for that? she wanted to know. I'd never even thought of it like that, I don't think. My body might have made a mistake, but I always blamed cancer, as if it were an entirely separate entity. As if it were not me. I knew I needed to be kind to myself to start healing, but I never thought of it as forgiveness. What was there to forgive? I've always been strong, capable, resilient. Even when I had moments of self-pity, even when I asked my therapist why me? I still knew cancer was not my fault. After all, why anyone? What I have a harder time with is being gentle with myself (and clearly those around me) when I'm feeling pulled in too many directions. I have a hard time finding patience. I am irritable because my routine has been knocked askew. Because I still have chemo next week and a scan on Quinn's birthday -- on his birthday, for chrissakes! -- next month. I'm angry because a friend was told she had no evidence of disease and two weeks later they found metastases in her brain. I take it out on my poor mom, who's just moved back to town because of a break-up. And then sometimes I see her in all her fragility, starting over again in her mid-sixties, transferring jobs and setting up another new apartment after a lifetime of being a military wife and starting over every two to three years, trying to stick to a strict budget but still wanting to treat me to breakfast because that's what moms do, and saying things like, "I can't imagine not working. What would I do with my time?" I wonder if she means these statements as a premeditated response to anyone who might judge her (although I don't think anyone is) since she probably needs to work. I'm sure she doesn't intend to criticize me not working, but I still question whether it's a jab at my decision to stay home. There's another of my faults, if you're counting: I analyze things to shreds. So this is how it goes with my mom and I until we find our groove around each other again. There is some friction, so we have more wine than either of us is used to, we let Quinn be a buffer between us because it's hard to be tense when you're racing monster trucks, and I make a joke about my younger brother being our mom's favorite to diffuse any tension and also because he might be. He's all of our favorite. These are the things I need to forgive myself for, the things I need to work on, the things I have any control over, even when it feels like I don't. How I act, how I react, how I interact with the ones I love the most. I could do better, and I'm always striving for that. In the interim, I love myself anyway. Because we should, and because -- if we're lucky -- our parents do. But cancer? That wasn't me, wasn't my choice, wasn't my fault. What about you? Did you blame yourself for your cancer? How have you employed forgiveness in your own life? Has it helped you heal? What a great post! I agree that cancer isn't our faults, and having cancer wasn't your fault. It just happens -- randomly -- to a lot of people unfortunately. I have forgiven people since cancer, and for me, it's been liberating. Hi Jen, Well, if truth be told, sometimes I do blame myself. 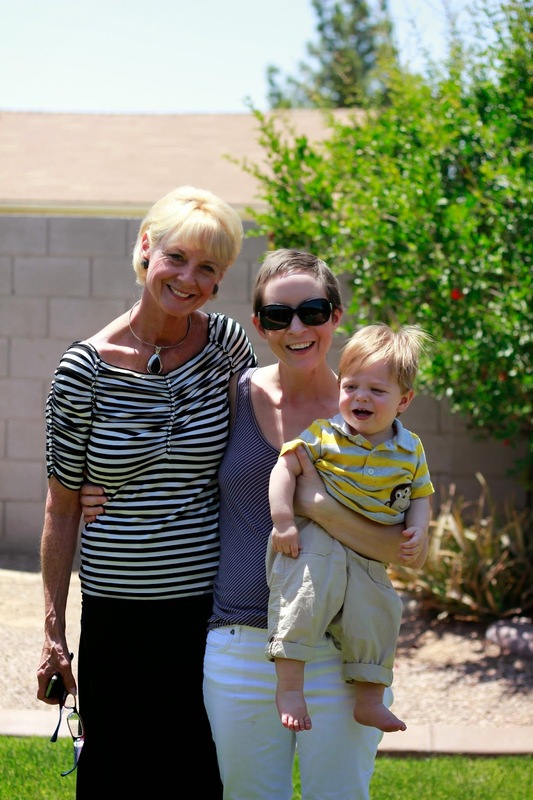 I have the darn brca2 mutation and I didn't find out until after my diagnosis. What if I had been tested earlier? I was in the thinking about it stage because I thought I still had time. My family history is complicated... Cancer is not your fault and it's not my fault either. But still, the questions pop in now and then. Things we can control and things we cannot - so important to distinguish between the two. Self-forgiveness can be harder than forgiving others don't you think? And your mom seems lovely. I'm sure she isn't criticizing you for not working. I think it's natural to think our moms are judging us when in fact they aren't. Well, not ads often as we think they are anyway. Thanks for the post. As always, you give me much to think about. Jen, I way over-analyze what people say to me too. It has annoyed my husband many times over the years. Thankfully, he is used to it now. 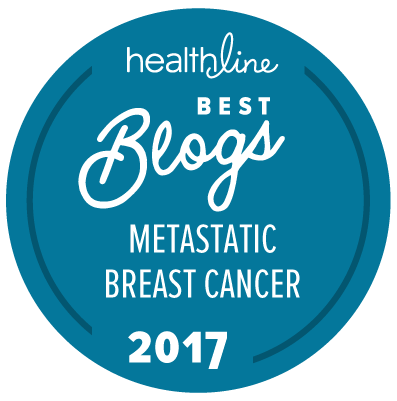 I gave thought to this topic of loathing my body due to cancer in a blog post of mine called "Love Life" in August 2014. In the end, I decided I love the LIFE I have had in my body. Any negative feelings I may have toward it then become irrelevant. What a wonderful perspective. Thanks for sharing, Lisa. I'll go find your post now! Oh, the world that would be if we could all think our metastases away! Hi - Just came across your blog and thought this post was interesting. I personally never blamed myself for my cancer. I think this is just "our luck," and nothing else. I don't think there is a super natural reason why this happened to me, or to you. So many people are getting cancer now, including children. I've never asked the question "why me" but rather "why not me?" I have a strong family history of cancer with no BRCA mutation but I do have a different mutation recently discovered called ATM which is linked to bc. I guess the way I see it is I have issues with mortality not cancer itself. If I was to accept mortality today, I think I would feel a bit more relaxed. It's not so much the fear of facing the disease, although that too can be scary, it's the fear of losing my life to it. But what makes me so special? I am not immortal. No of us is. So there is nothing I need to forgive myself for because we'll all walk that path some time. These are just the cards we've been dealt with - and everyone gets a set of cards, eventually. It's just that some people get them sooner than others. Thanks for commenting. My former therapist used to say that exact same thing: "Why not you? Why anyone?" whenever I was tempted to assign blame. It had an incredible power to get me out of my own head and put things in perspective.